“These homeowners entertain frequently, so they needed additional space and wanted to extend the house into the wooded area,” Hendricks says. 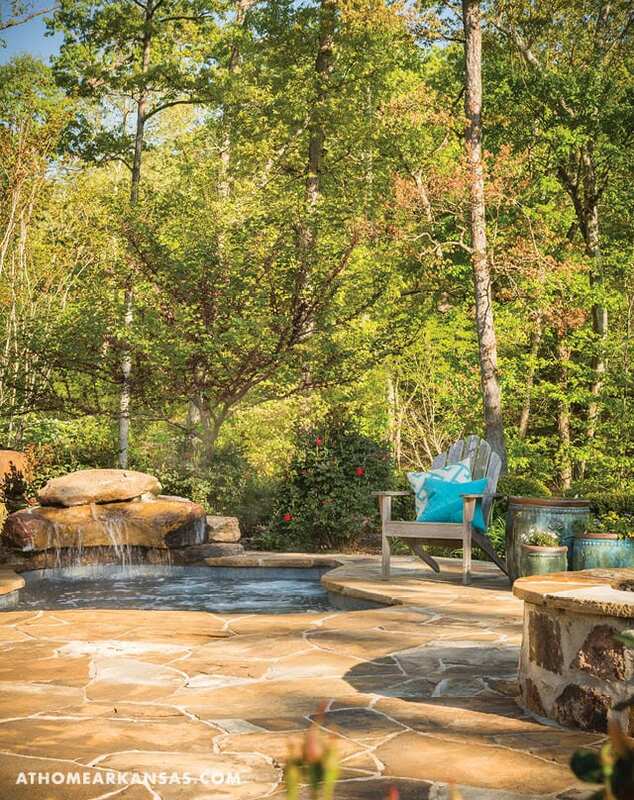 A flagstone walkway with multiple spaces for use, including the firepit and spa areas, is an inviting and natural way to accomplish this in any backyard. Consider your needs before you design or install. 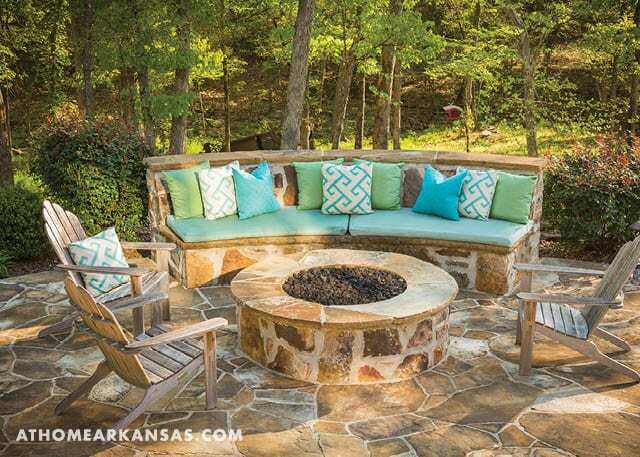 Since this couple often hosts guests, having a bench in the firepit area was key for seating a crowd. They also wanted a place to relax at the end of the day; a roomy spa satisfied this desire. Thinking about how you will use the space before starting work will help to ensure you get the most out of it in the long run. Hendricks notes that numerous boulders and rocks were found on the property. “About half of the retaining wall was created with pieces from on-site,” he says. Incorporating these with other native stones and the terrace’s flagstone material create a look that is in line with the environment and matches its aesthetic. “The landscaping on the property is very low-maintenance. We kept it loose so they wouldn’t have to prune frequently,” Hendricks notes. 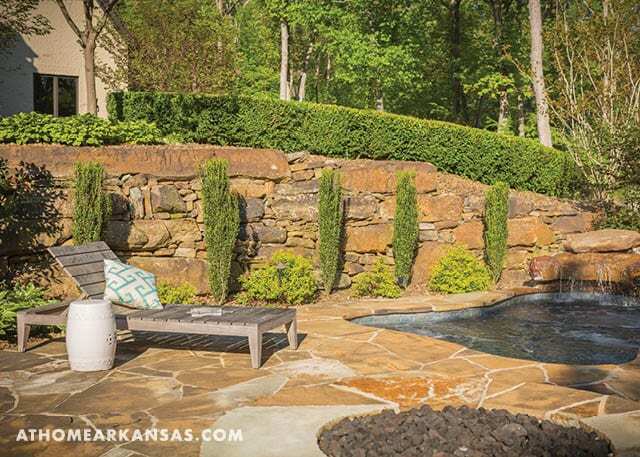 Plantings such as knockout roses, a Japanese maple, an Oklahoma redbud tree, day lilies, and hostas all work together for a beautiful setting that doesn’t require a lot of upkeep.